Martin Roll swapped a thriving career in the Copenhagen advertising industry with an entirely new life in 2000, without a safety net on the other side of the world. Read this interview by Kim Berckentin about what it really takes to elevate yourself and become one of the most outstanding individuals. This is a story about shifting from a local to global trajectory. “The Swedes love Volvo, however in Denmark we have a hard time with Maersk. The Swedes are much more sympathetic to the American corporate spirit than we are in Denmark, where the American approach and culture is often met with scepticism”, says Martin Roll. For the Danes, the small-is-beautiful culture makes sense. There is a limit to how big it seems wise to be, when the nation only 150 years ago and due to collective self-delusion lost a third of its territory and 40 percent of its citizens. Consequently, risk appetite may very well have a different meaning to the average Dane than to anyone else in the world. Although we daily convince ourselves that we have done away with the “Jantelov” (a group behavior “law” that makes Scandinavians negatively portray and criticize individual success and achievement as being unworthy and inappropriate), it has for generations rubbed off on our business environment. There is always a “Varnæs against a Skjern”, Martin Roll adds, referring to the two main business characters in a popular historical TV drama which provides an excellent insight into the souls of Danish people. Talking to Martin Roll for just a minute takes you far and wide. He pieces together facts, trends and perspectives at an impressively fast pace that gives food for thought. After all, he is not just anyone. As an international management consultant and C-level advisor, he is used to talking to and socializing with top management teams, boards of Fortune 500 companies and leading companies in Asia that include a number of family-owned businesses. He is among the (very) small group of Danes who is in global demand and is therefore able to collect international top league fees for his lectures, management consulting and business coaching – a fact one cannot completely avoid thinking about while interviewing him. Fortunately, Martin is one of the most pleasant persons to talk to. He is good company and when he speaks it is with a sense of authority that implies that he is not a man to be interrupted – you may say he is unstoppable. As an expatriate Dane for the last 15 years and a resident of Singapore, Martin has got Denmark at a distance. He has a global mindset owing to his MBA from INSEAD in France – as well as an excellent English vocabulary that he uses spontaneously and vigorously. His life journey gives him a differently perspective on the world than most Danes – yet without losing his “Danish-ness”. One of the most important parameters that he analyzes when evaluating a new client, is whether there is an emerging “arrogance and complacency in the organization”. It is the indolence and lack of foresight, which struck companies like Esprit in the 90s, gave Adidas major challenges before they again found their tone and with which Tesco are struggling today. Just when everything is going well, arrogance and complacency may hit the organization, weaken the power of leadership, fade your brand and you may lose the whole market. Then it may quickly go downhill – a direction that is hard to turn around. This “victory” disease is one of the things the Danish mindset is sensitive to: Danes smell hubris from afar. So when describing Martin Roll, and why he is successful, his Danish mindset is integral, along with his curiosity and global vision. It was his curiosity about why Asian brands had little success globally, that sent him off on a journey to the East after his graduation from INSEAD in 1999. This was at a time when Samsung was almost non-existent. Martin settled down in Singapore as a management advisor in 2001 and established the Martin Roll Company. He began working for his clients on the big questions: How to build an Asian brand that can succeed globally? What dogma must be overcome? How do you become “global” in the first place, and what management mindset does it take? The answers to these pivotal questions became his trade. Asia in 2001 was characterized by local companies: South Korean Hyundai, Japanese Shiseido and Chinese Huawei. None of them were anywhere near to where these brands are today. Clients across the region were skeptical of Martin’s approach – but they were curious to meet the tall Dane who had come to talk to them about growth and a global approach to running their businesses. He advised them that the road to global success was to build their own brands and not primarily compete on cost production and low price, something Asia had done that far. By following this path, they could increase the value of their businesses. Martin had his theoretical ballast and toolbox in order. Actually, he would have liked to become a journalist, but instead he worked his way up in the global advertising industry. At Ted Bates (later Bates), he was given responsibility for the Ericsson Mobile Phones and the Ericsson corporate brand worldwide accounts. He discussed 3G and 4G with them already in the early 90s. In 1995, Martin moved to DDB Needham (later DDB) and for the next four years he was the lead for McDonald’s in Denmark. The American fast food chain expanded during this period from 23 to 140 restaurants and in the process Martin learned everything about commercial strategy the American way. “Learning today, leading tomorrow” was the mantra from the Hamburger Marketing University in Chicago. Martin was given the responsibility to design the strategy that leveraged the tremendous expansion. According to him the four years with DDB Needham was one of the best places he worked. DDB had a unique spirit and culture. Professionally, Martin was sent to attend the Young Managers Summer Programme at INSEAD in Fontainebleau in 1998 and he became so fascinated by the international environment and the high level of professionalism that he in 1999 pursued an MBA at the same business school. His time here became a “life changer” as Martin describes it, a crucial point in his career. The towering level of international professionalism and the social aspect of going international opened up new roads and it was clear that his agency life back home in Copenhagen had come to an end. Martin decided to change and moved into deep waters, where he could test himself. After the first years in Singapore, the conclusions from his learning journey were clear and he moved on to materialize his ideas. 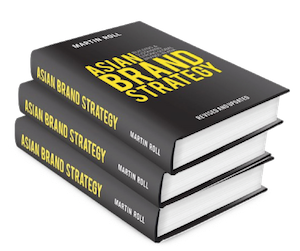 His first book Asian Brand Strategy was published in 2005. The book was like a recipe – 10 guidelines for Asia’s big challenge in management, strategy, branding and internationalization. After the usual few months of vacuum, while the book found its way out to its audience through the distribution channels, Martin started his marathon. He went on a 15-month long road show, where he delivered hundreds of lectures in Asia, US and Europe. He lectured for a variety of management audiences in 40 countries. Often there were two lectures per day, and on top of that, interviews with all relevant media. This required great stamina. Back then there was no social media to drive hype. So Martin combined his hard work with hiring an international PR agent in London and New York respectively. And it worked: CNN called him up, so did CNBC, Bloomberg, BBC – and Martin flew in and gave interviews with them all. Martin found himself in the centre of gravity of a global media campaign, and the book won international recognition. The American marketing professor Kevin Lane Keller from Tuck School of Business, the world’s leading brand expert in academia, wrote: “Martin Roll’s Asian Brand Strategy provides superb motivation and substance into Asian brands and branding. It offers invaluable inspiration and guidance into one of the hottest areas of marketing”. In addition to hitting the global bestseller lists, the book was also voted “Best Management Book” in 2006 by the renowned Strategy+Business Magazine, published by PwC Strategy&. Finally, one of the world’s most respected top management advisors, Dominic Barton (worldwide managing director for McKinsey & Company) wrote: “Building successful global brands is – and will be – critical for the rapidly increasing number of Asian champions on the global stage. Martin Roll provides a compelling and practical road-map on how to do this based on his extensive experience advising Asian corporations”. The success of the book provided Martin with the legitimacy to work world-wide. Business owners, wealthy family dynasties, business schools, organizations and governments reached out to Martin to tap into his knowledge, insights and recommendations about expansion strategy and branding. Before he knew it, he gave the main keynote speech at a conference in Seoul where the President of South Korea attended along with 3500 people in the audience. So what is it that Martin is capable of? Basically he seeks always to inspire his clients to be the “most admired” – they must be in a class by themselves, rather than necessarily being the largest. It involves a number of parameters that are rarely put into use because of the usual short-term, one-sided focus on increased volume. This is where Martin challenges his clients. One of his key questions is: What’s your purpose? He challenges his clients to think about what they deeply believe they are best at, what values they stand for and what they actually provide to their customers – and more broadly what they provide to the world around them. He helps them with the compass called “purpose”. If you are driven by a strong purpose, and actually meet expectations all the time, then you have a strong chance to become an “admired” company. But it is not a position that comes easily. It requires full attention and hard work over a long time period of time and attention to every detail. LEGO’s turnaround is a good example. If your company would close down tomorrow, what would happen then? Would the world be any different? The Danish company LEGO has got this purpose. Most children and parents would be sad if LEGO closed tomorrow! If that is the case, a company and a brand have all the opportunities at its disposal. Think of Apple, BMW, Estee Lauder, Singapore Airlines and many other brands – they are strongly positioned in people’s minds. “Powerful brands enable people to do what they could not do otherwise,” as branding expert Peter Fisk has said. Unfortunately, there are many companies that never really reached the goal of their purpose. One senses that Martin has an underlying question that could be formulated as: “Where are you going?” Whether it is the customer, company, brand, writer and it is the many possible answers that fascinates and drives him – that is exactly what he challenges all the times. He stubbornly insists that the ultimate goal has to be the best. Otherwise he refuses to accept the answer! This approach has a clear international, tough appeal to global businesses – something which is not often the case in Denmark. Martin mentions CEO Lars Rebien Sørensen as one of those that come very close with his statement that Novo Nordisk MAYBE one day could become the world’s most valuable pharmaceutical company. Bernard Arnault, who is the principal owner, chairman and CEO of the French luxury group LVMH, has built one of the world’s most impressive companies by – with steely determination – redefining what luxury stands for now and in the future. It also becomes clear that Martin enjoys motivating and inspiring others to bring out the best in them. But not as a traditional coach, more like a top manager of an elite sport. As a close ally, a business coach, which is a well-known concept in global business where being a top-level decision-maker, is very demanding and often a lonely journey. This is where Martin Roll enters and becomes a close ally of his clients, and becomes one of their closest confidants. At the same time he is one of their harshest critics – with a constructive approach to the role of a business coach. He says that he thrives watching others having success, and that is probably largely due to his own milestones in life – “be an architect of your own life”. He is a pronounced ENFP profile for those who are familiar with the Myers-Briggs Type Indicator: Creative, inspiring and with high impact. He uses his skills to help others to develop their untapped potential. During his childhood, he was preoccupied with playing school theater and to be a communicator, but today he no longer has the need to be in the limelight and to take credit for the results. Martin orchestrates in the background the handling of large complex problems and becomes a very trusted sparring partner for global decision makers. He serves the role of the director – and sometimes also the producer. In his youth he devoted himself to his great passion for photography – he even lived off it for some years. Martin still today views the world through a photographer’s lens, and is often annoyed when his camera is not within reach. Instinctively, he has always seen things that are about to happen, he says – and a good photographer presses the shutter a split second before! It’s all about daring to press the button before the other; to do so, even if it is wild. Daring to be different, he says. The moment the power levers are pushed forward in the cockpit, the aircraft is in take-off mode. While it accelerates on the runway, the aircraft reaches the phase of “velocity 1” – the moment when it is no longer possible to stop the aircraft on the runway length that is available. Pilots know that. Only option is to increase speed to “velocity 2”, where the nose begins to raise from the ground – now there is no way back, the plane must BE in the air to avoid a disaster. Bringing the plane through these critical phases until it reaches a safe flying altitude and later full cruising altitude, requires high professionalism and lots of power – the same goes for entrepreneurs and business owners who try to lift their brand. They have to understand that they must make a choice – will they take off: Yes or no? Often it is a long haul, even before you are ready to touch the levers. Everything must be in place. The patience for this is not always in place in a country like Denmark. We like solutions to be ready for anything in half the time. But in Asia, they need to see that you have a long term perspective. It fits poorly with the impatient Danish management statement: “When I am presented with a three-year plan, I always ask how we can do it in one year”. Execution and efficiency do not always go hand in hand. The linear development that we cherish in the West will not work in Asia. You cannot enforce unnecessarily in Asia. In Chinese, the phenomenon is called “Guanxi”, and in all places in the region, they have a phrase for it: Trust through relationships. This means that a Dane will have to slow down a bit, and wait. When the relationship is developed, the reward will follow – for nowhere else in the world can things move as fast as in Asia. The Chinese handset maker Xiaomi is a good example of this paradigm: They are now the world’s fifth largest mobile brand and move extremely fast – they came almost out of nowhere. The products are well designed, can only be purchased online, and Xiaomi do not do marketing in the traditional way. In turn, Xiaomi’s brand is driven by viral marketing and social media. It is the linear curve vs. the exponential – and in Asia you can employ both when it suits you. We must be careful in the West to underestimate the latter – because time is money. The example above from aviation was not picked out of the blue. From his base in Singapore, Martin flies annually over 350,000 miles – preferably with the top of the class company Singapore Airlines. They are the “most admirable”. He has a PPS Club Membership (highest membership for a narrow circle of high-flyers) with a permanent seating at the front of the plane by the window. Martin Roll, who has since 2001 helped companies in both Asia and countless other places globally to reach new heights, is by far the closest we get to a genuine Danish superstar in the business guru segment. His success is impressive. Originally, he advised within the domains of branding and marketing only. But today it is much broader general management. The diversity of his clients is impressive and broad: Governments, industry manufacturers, retail chains, airlines, fashion companies, cosmetic brands, and business schools from around the world. You only reach Martin’s level by constantly monitoring what is happening around you and with your clients. Slackness is no-go. When HSBC launches a concept like YUMMY, you must know what it is – and whether it is relevant to your customers when held up against a study that finds that 55% of luxury purchases in China is carried out by men against only 40% worldwide. You must have knowledge to analyze things critically. Martin’s hallmark is deep knowledge combined with a horizontal view, where you can walk across professional fields and global issues of all kinds. It covers a top class specialization that ties it all together into a powerful strategy. You must have solid knowledge in a broad field so that you can always engage with C-level in the Forbes 500. The bar must constantly be raised. But according to Martin that is not a problem if you have the will to be professional and the desire to be the best. It also makes it easy to imagine his office in Singapore – a pure research lab from where the whole world is monitored and where he also spends his time reflecting on behalf of his clients on what will happen next in management – characterized by “Newness occurs in the margins”. His intuition has only become more astute with the years, he says – and it takes clarity to cut through the clutter. It also reflects on the extremely dynamic job where the toolbox is constantly changing and where one should always be two steps ahead. You are only as good as your last meeting and your last advisory project with a client. And as long as it is fun, he keeps on doing what he is doing. “Remember, I have created the job myself”, he laughs. He knows he is able to contribute. “Put a dent in the universe” as Steve Jobs put it. Martin Roll is also a Senior Advisor to McKinsey & Company. The advice from Martin to young people, who really want a successful career, is to create some platforms, where one has deep knowledge and at the same time a horizontal vision – the degree of specialization to be established in the early years, and the horizontal visibility will naturally follow when the basics are in place, and the career develops. For Martin, it took a period in his life where he worked seven days a week. Nothing comes from nothing. Today, his work has three distinct components – an international keynote speaker, an external adviser to companies, and a facilitator for management meetings, board meetings and family councils. There is a duality in his work, as a lecturer and through books, articles and his own site martinroll.com everything is retrievable – unlike when he is working as an adviser, when everything is behind double-closed doors. Discretion is paramount and an important part of his global signature. His clients know it and appreciate it – thus he becomes involved as closely as he does with both owners and management. There can be no doubt about his integrity. Increasingly, he is hired by owners of businesses as a mentor for the next generation. He starts by challenging them with the question: What would you like your legacy to be? It is important to understand how these “sons and daughters” look at what lies ahead of them. It is Martin’s task to form and shape the heirs, creating a balance between the old and the new. All of this is done with momentum as the overarching theme. He believes in creating change and consistency at the same time. The day when the transition occurs, the track must be laid well into the future. It is the same combination of knowledge and new ideas, which also needs to lift Denmark forward. If one looks at the big picture, there are definitely skilled, knowledge-intensive companies in Denmark. Novo, Maersk, Danfoss, Grundfos, Ramboll and COWI are examples, which Martin highlights with enthusiasm. But otherwise the Danish business world, with too many small and medium-sized enterprises, needs a more ambitious focus on wanting to be the best. We need crystal clear answers to “what’s your purpose?”. Without large enterprises, Danish businesses cannot be present where growth takes place. But small businesses can grow and can become the “most admired”. It is all about having the right mind-set. So we arrive at what Martin does every day – preparing his clients for growth. Martin’s primary focus areas are innovation and differentiation, which of course require capital. Unfortunately, in Denmark the investments are too little and too late. There are too many companies where time is running out. There is little margin between calculated risk and rashness. The risk acceptance is simply too small in the Danish venture capital environment, and that means that many sustainable ideas do not reach through velocity 2. Business angels in the US would rather distribute 1 billion among 20 start-up companies with the aim of finding the ONE company that – once calculated – would have a 100 % probability for success. The mindset is the difference. Finally Danish investors and entrepreneurs may not be skilled enough to convince each other that we could indeed become the best. Martin is, however, optimistic about the trend he sees globally and in Denmark. In family businesses, the 3rd generations are in several cases replacing the 1st and 2nd generations. They are active in the field with a more globalized approach, and they often have international experience from large international companies and consulting firms like McKinsey & Company. They are very well trained. They are far more connected with tomorrow. And they are daring to press the button to create a new reality in companies. Martin welcomes it. Change is good! Follow Martin Roll and his company Martin Roll Company. 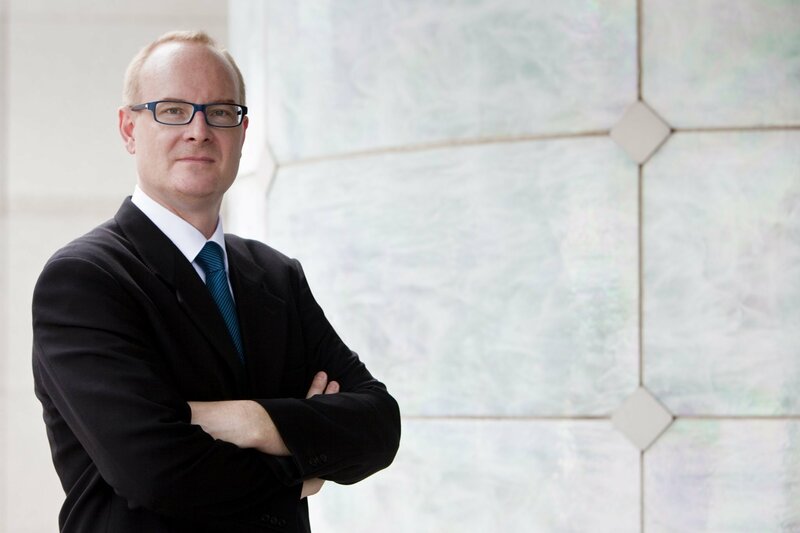 Keep an eye on him towards 2016, with five releases: “Chief Marketing Officer – A New Boardroom Role”, “Next in Global Marketing – 25 Perspectives from The Leading Global Marketing Professors”, “Family Business Transition – A Guideline”, “Brand Leadership – The Role of the Boardroom” and a revised version of Asian Brand Strategy (July 2015).